Would you like your boss to be fined for making you reply to emails? It sounds great, but what about companies with employees or clients in different time zones? Workers in the Big Apple could be banned from checking or replying to after-hours emails, if New York City lawmakers pass a newly proposed bill. Americans are chronically stressed by work, with many struggling to establish work-life balance, so the idea of protecting time outside the office by enabling workers to be off the digital clock should prove popular. So why does this legislative action have experts scratching their heads — if not adamantly shaking them? That’s a key distinction, highlighting that this is a law geared not toward shutting down connectivity after work, but managing bosses’ expectations around it. If the bill passes, employers would still be able to send post-working hour emails to workers — who could still respond, if so inclined. If the bill were a ban on electronic communications outside of work hours, companies would probably have to implement "software cutoffs that actually restrict access to work accounts during off hours,” noted Chris Young, a former transactional attorney. But this bill doesn’t have a cut-and-dried answer as to how it would be logistically addressed, which is its biggest problem. If employees can still be contacted off the clock, and still reply of their own free will, then what does that mean for the employees who do take issue with it and don’t engage post-work? Potentially they could miss out on a promotion or another opportunity because they didn’t express their eagerness by replying after hours. Sure, they weren’t forced to do it — but why didn’t they want to do it? That’s a question their supervisors could privately consider. “You can say people aren't required to reply to an email, but if one employee does respond and the other doesn't, who will get a higher performance rating?” said William J. Becker, co-author of the study Exhausted, but Unable to Disconnect: After-Hours Email, Work-Family Balance and Identification. The bill — designed to protect the employee who chooses to disconnect when not working — arguably exposes that employee to the risk of being judged as less invested in the job than the employee who chooses to connect. Employers found guilty of breaking the law would be liable to pay a civil penalty — a maximum of $500 for the first violation and $100 for each succeeding violation. What’s more, this law covers electronic communications, which it defines as “electronic mail, text messages or other digital means of conveying data electronically.” But what about calling someone on their landline? Or sending a messenger over to their house? These may seem like unlikely last ditch efforts, but anyone who has had a super-demanding boss is probably immediately noticing those loopholes. So how do the French pull it off? 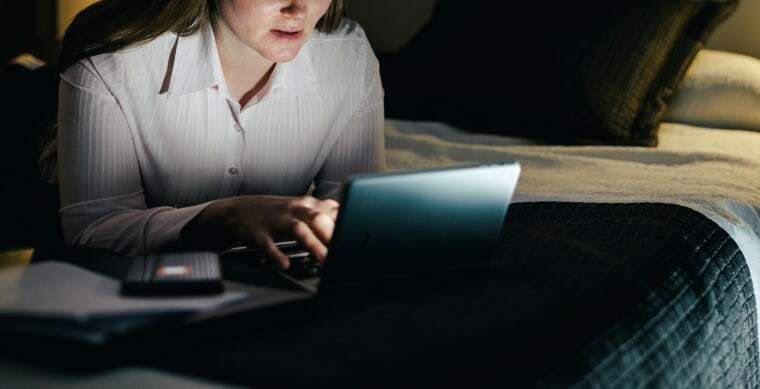 A similar law was passed in France last year, requiring businesses with 50 or more employees to negotiate after-hours email rules with workers, potentially allowing them to ignore post-work correspondence. But is it really fair to compare France to the U.S. in terms of work culture? France legally standardized a 35-hour workweek in 2000 — and employees may not work for more than 4.5 hours without a break. Employees could miss out on a promotion because they didn’t express their eagerness by replying after hours. Scott Marden, chief marketing officer at Captivate, added that America seems to be going in the opposite direction of France in terms of general work-life culture. Curious as to what white-collar workers thought of the proposed NYC legislation, Captivate conducted an Office Pulse survey on the topic. Of the 315 respondents, 54 percent deemed the bill a good idea, while 24 percent did not. Twenty-two percent thought it wouldn’t deter bosses from expecting email responses after hours. What about multiple time zones? What’s potentially the most detrimental aspect of this law is its local nature. If you only have one location (in which all your staff is based) and you don’t do any dealings with companies in other times zones, then this law is arguably quite feasible. But that isn’t the standard case for many companies in a major metropolitan hub.